My PowerPoint and PDF files won’t go into fullscreen! There are several possible reasons why this might happen. 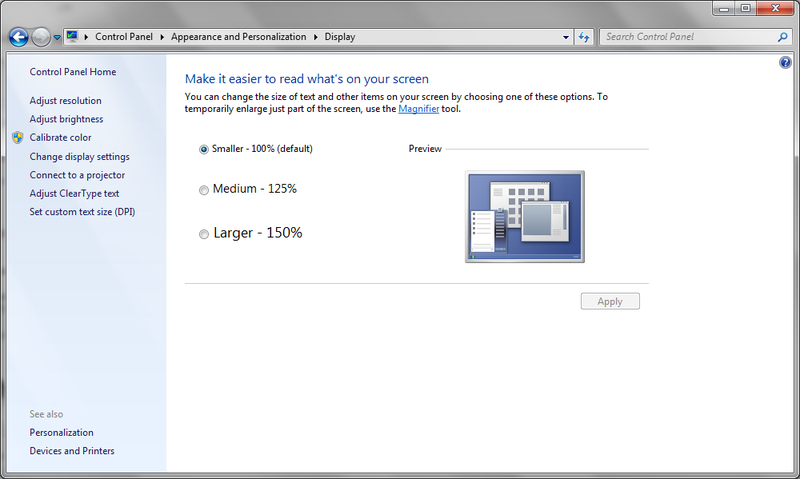 The most common reason is that the Windows screen scaling or DPI setting is set above 100%. This causes the operating system to wrongfully report a lower screen resolution to SlideDog. To correct this issue you need to set the scaling back to 100% as illustrated in the image below.